Including Strongyles vulgaris, S. edentates, S. equins, and Triodontophorus. 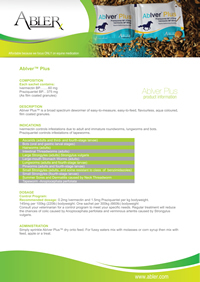 AbIver Plus™ is safe for all horses including foals and mares at any stage of pregnancy. No adverse reactions have been reported. * Ivermectin is not effective against three species of equine tapeworms: P. mamillana, P. magna, and P. perfoliata. However, Abiver Plus also contains Praziquantel, a member of the pyrozine group of pharmaceutical active compounds, which has indicated selective effectiveness against all these three species. 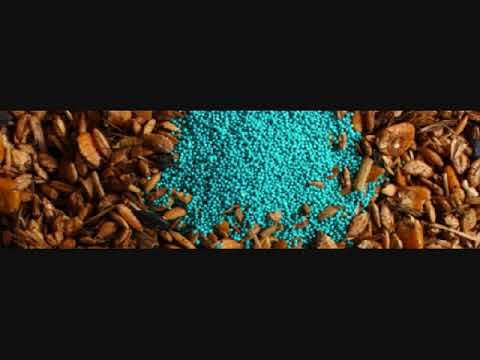 Just sprinkle AbIver Plus™ dry onto feed. For fussy eaters, mix with molasses or corn syrup, and then mix with food, apple, treats, or a mash. 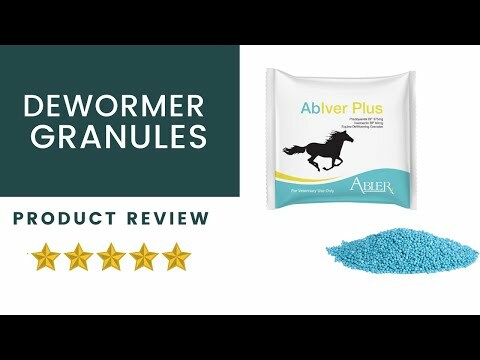 IMPORTANT: Consult your veterinarian for assistance regarding diagnosis, treatment and control of equine parasites and the suitability of AbIver Plus™ for your horse.